The food stamp program, started in 1965. It evolved from earlier federal efforts to distribute surplus food to needy people (e.g., commodities, such as beans, rice, peanut butter, etc. ). Major control over the food stamp program rests with the Agriculture Committees of Congress and it is financed and administered at the national level by the United Stated Department of Agriculture (USDA). States administer the food stamp program under contract with USDA and agreed to pay 50 percent of the costs of administration within their state. In almost every state food stamps are administered through the state department of public welfare. Until 1977, food stamps were actually purchased by eligible needy people. Under that arrangement, a standard allotment of stamps, based on family size, was purchased at a discount determined by the recipient’s income. The difference between the purchase price and the allotment was known as the bonus value. 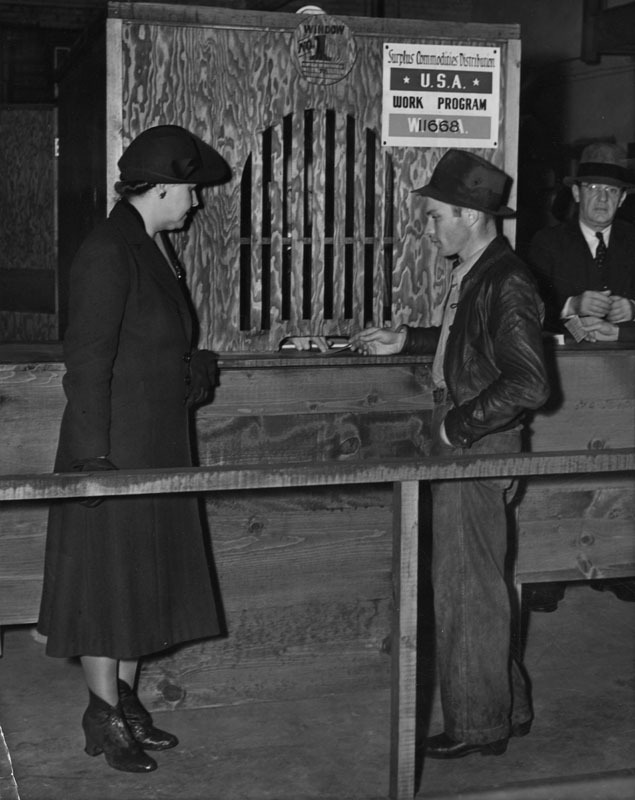 This arrangement was changed when it became evident that many needy persons, particularly the elderly, did not always have the amount of cash on hand needed to make the required initial purchase. After 1977, eligible recipients receive stamps for only the bonus value to which they are entitled based on their income and family size. Unlike public assistance, food stamps are not restricted to certain categories of needy people. An individual qualifies for food stamps based on whether or not one’s income is below the standard set by USDA. This is partly the reason food stamps have become such a large program. For 1982, it was estimated 22 million people (one out of every ten persons in the United States) benefited from food stamps. In FY 82 the costs of food stamps were estimated to be $11.3 billion. An interesting feature of the food stamp program which was often overlooked was the extent to which food stamps were used by some states to supplement low public welfare benefits. For example, since the bonus value for food stamps was established on the basis of income, an AFDC family of three in one state was eligible for $200 income a month and then be eligible to receive a bonus value of $159.00 in food stamps. In a different state, an AFDC family of three might receive a public assistance benefit of $400 income a month and therefore only eligible for $110.00 in food stamps. Because food stamp dollars are entirely federal funds, and AFDC dollars are usually only 50 percent federally funded, states with lower AFDC payments were actually receiving greater federal subsidies for the families on their welfare programs. Complicating the situation was the fact that the food stamp bonus system created a built-in fiscal disincentive for raising the level of AFDC payments. Is there any bibliographic information available for this post? I would like to cite it in my dissertation research. Wikipedia’s “The Supplemental Nutrition Assistance Program (SNAP).” You will find it has a lot of available information.